Continuing a tradition of cooperative partnership in space exploration, the respective space agencies of the United States and Russia signed a joint statement to develop a space station in lunar orbit. NASA and Roscosmos made the announcement on Sept. 27, 2017, at the 68th International Astronautical Congress in Adelaide, Australia. According to U.S. space agency, the joint statement reflects a common vision for human exploration that NASA and Roscosmos share. The agencies, as well as other International Space Station partners, see the “deep space gateway” concept announced in March 2017 as a strategic component of human space exploration architecture that warrants additional study. International Space Station partner agencies are working to identify common exploration objectives for deep space missions in the 2020s. This includes the gateway concept. When NASA announced its plan for the gateway, the agency made it clear the project would benefit from third-party involvement. “I envision different partners, both international and commercial, contributing to the gateway and using it in a variety of ways with a system that can move to different orbits to enable a variety of missions,” William Gerstenmaier, NASA’s associate administrator for human exploration and operations, said in March. For the last several years, NASA has solicited proposals from commercial partners via the Next Space Technologies for Exploration Partnerships (NextSTEP) program. According to the Sept. 27 statement, Roscosmos and other space station partner agencies are also preparing to engage industry in concept studies. Amidst recent disagreements over incidents in Ukraine and Syria, relations between the two former rival nations have been on the decline. Nevertheless, cooperation in spacefaring activities remains a bright spot. 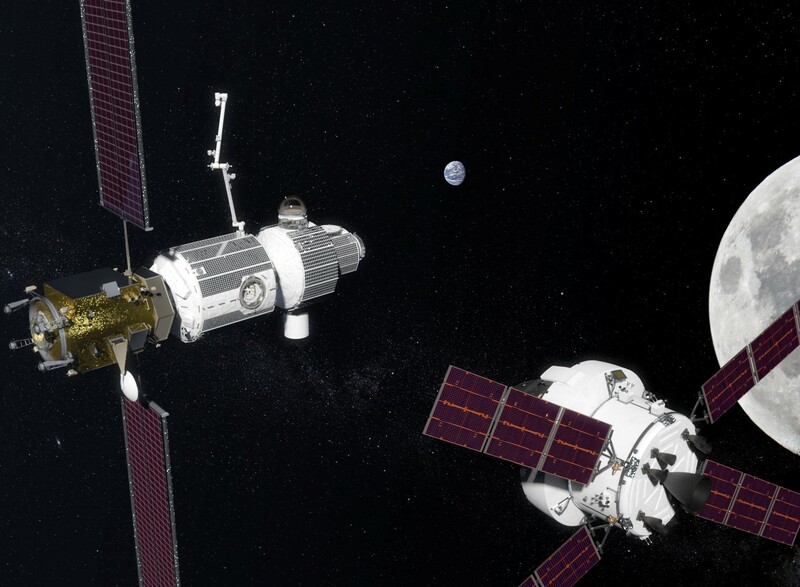 “While the deep space gateway is still in concept formulation, NASA is pleased to see growing international interest in moving into cislunar space as the next step for advancing human space exploration,” said acting NASA Administrator Robert Lightfoot in the Sept. 27 release. Although no solid obligations appear to have been outlined, Russia’s RT news outlet reported that Roscosmos would provide up to three modules for the space station as well as develop docking standards for the outpost. “Taking into account the country’s extensive experience in developing docking units, the station’s future elements – as well as standards for life-support systems – will be created using Russian designs,” Igor Komarov, general director of Roscosmos, said in an article published by Phys.org. Additionally, construction of the station may rely heavily on Russia’s Proton and Angara launch vehicles to support the super-heavy-lift capabilities of the Space Launch System. With such a large – and remote – undertaking likely to cost well into the tens of billions of dollars, commercial and international cooperation will be key, a reality NASA well understands. “Statements such as this one signed with Roscosmos show the gateway concept as an enabler to the kind of exploration architecture that is affordable and sustainable,” Lightfoot said. A lunar orbital platform would be a logical step toward expanding our technological comfort zone. The involvement of private contractors would provide incentives to step beyond what have become routine earth orbit delivery systems. The political uncertainties at each of the respective governmental agencies as well as the need for a staging platform to replace the ISS will need additional thought. We’ve done orbital alone for 40 years. Beyond different photo ops from lunar orbit, we need boots on the ground to keep our astronauts healthier then they are in orbit. Landing, getting into caves and lava tubes away from cosmic rays is what’s needed to get us to expand our technological comfort zone.